Johnnie Walker has, for the first time in a very very long time, introduced a new colour into its range of whisky: the platinum label. 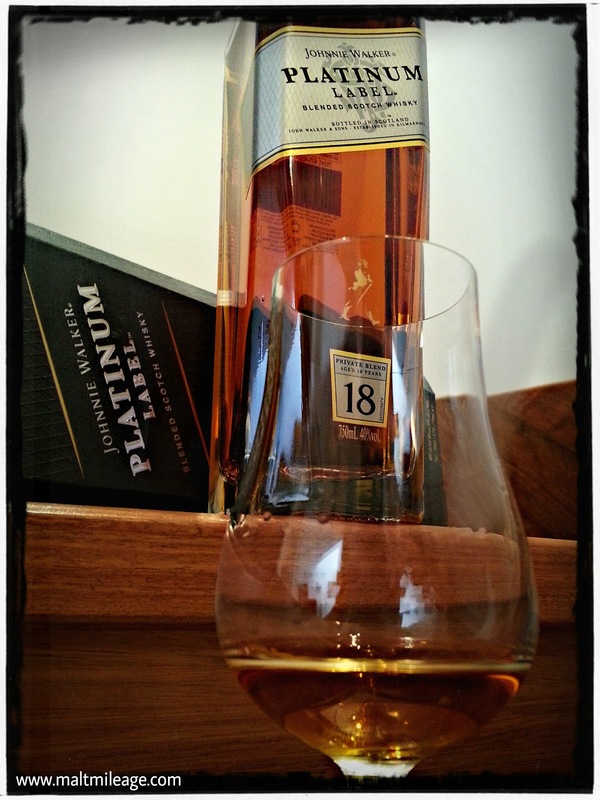 For many years the Johnnie Walker Gold Label 18 Year Old has been part of the brand, but consumers will see it slowly being replaced with the Platinum Label 18 Year Old on shelves. In my part of the world this appears to have already occurred (although, “Gold Label Reserve” does appear on the shelves). This is a fine whisky, and I would describe it as a smacking great dram! A blend is just a combination of single malts and some grain whisky. What is the main aim of blending? To achieve a particular flavour, plain and simple. In the Platinum Label, Johnnie Walker have, in my view, produced a whisky with a lovely oily texture that bursts with bitter orange and dry herbs all within a plume of peat smoke. A light and fragrant scent touches my nose with heavy butterscotch, orange extract and dried fruits. The nose on this whisky is light and sweet with subtle hints of the bitter elements of citrus fruits commonly associated with their peel, and dashes of dried herbs. The scent of pineapple wafts up with some pear, softly inviting me to taste the whisky. Oily on the palate with a rich texture that screams of smoky butterscotch and honeycomb, beautifully complimenting the nose in almost perfect harmony. Matching up nicely with the nose are also explosions of citrus, especially orange, and tropical fruits. Smooth and intense, a strong smokiness emerges with sprigs of peat and dried herbs; oregano especially. A vibrant and energetic warmth tickles my tongue and moves down my throat and into my esophagus. Remaining on my tongue are notes of lemon and orange extract, which eventually fade into a dry smokiness and bitter oak.